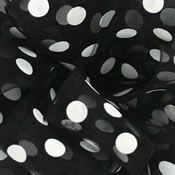 Dotted ribbons are a crafters favorite and at The Ribbon Supply we haved stocked a variety of the most popular selections. 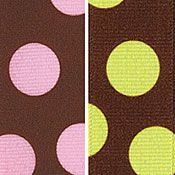 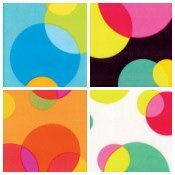 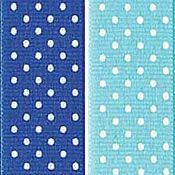 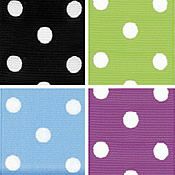 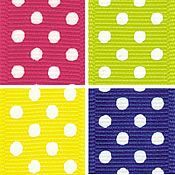 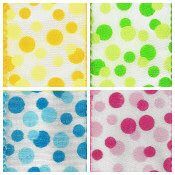 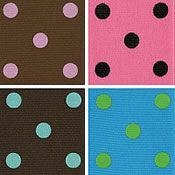 We have grosgrain polka dots, dippy dots, pop dots, confetti dots, sugar dots, fun dots, random dots, daisy dots, on sheer, solids and satin ribbons. 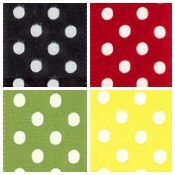 Available in a wide range of colors and widths ranging from 1/4 inch to 2 1/4 inches.